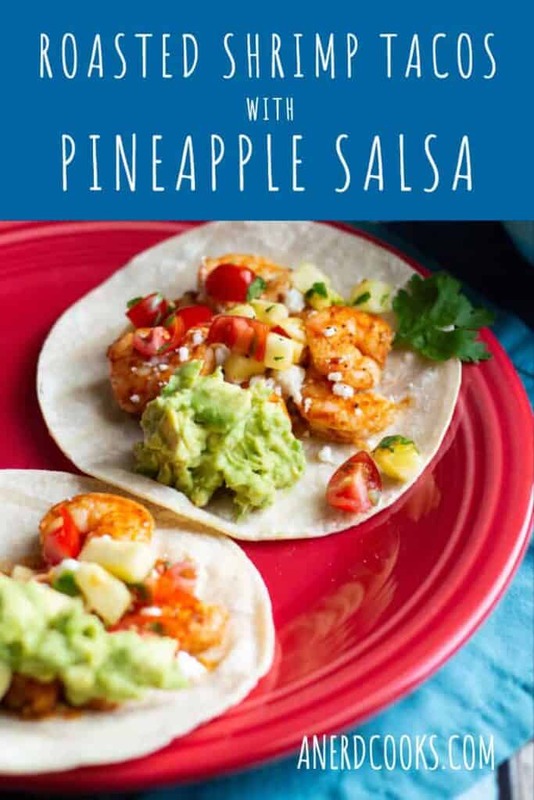 These Roasted Shrimp Tacos with Pineapple Salsa are light, fresh, and full of savory-sweet flavor. 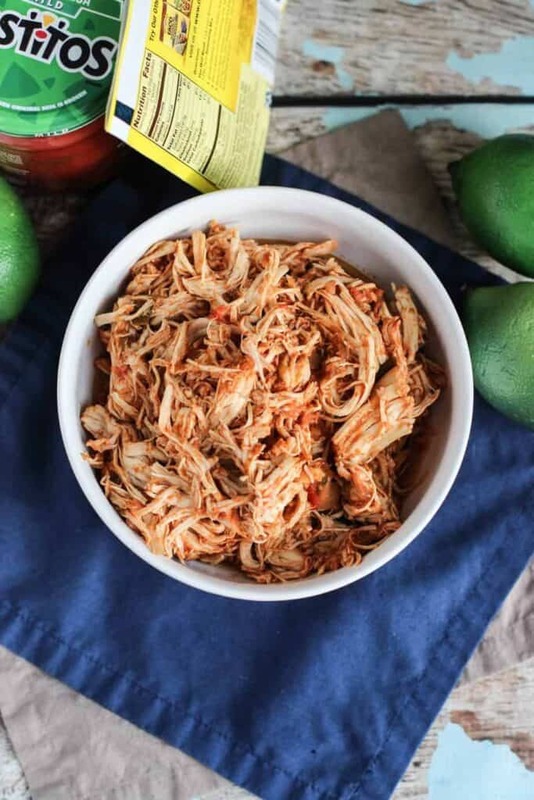 They’re also very easy to make, and come together quickly, making them an ideal weeknight meal. 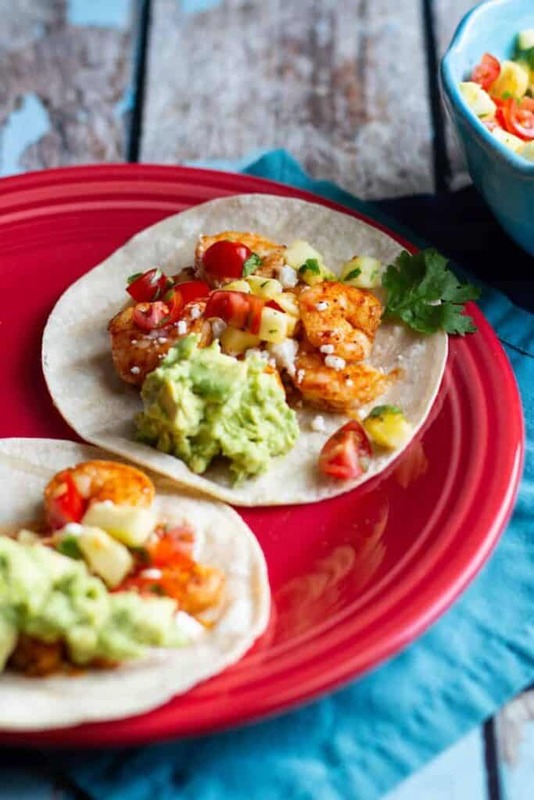 We’re not strangers to tacos made with seafood, right? 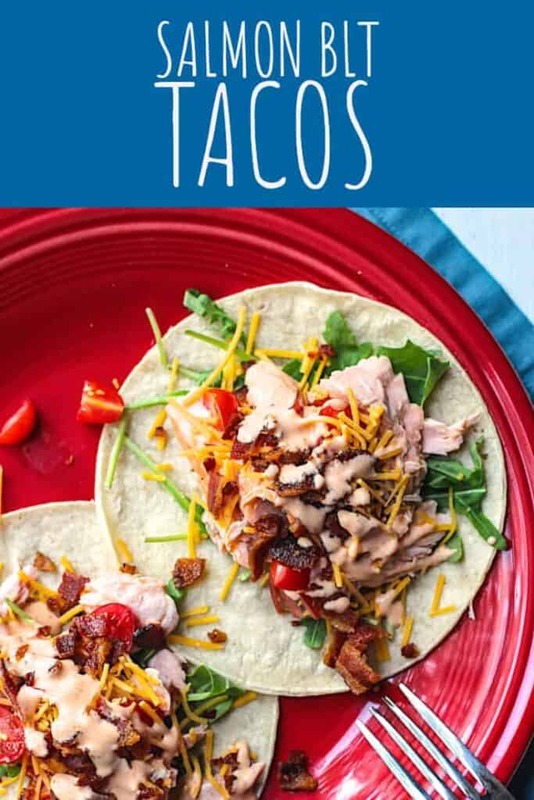 These Salmon BLT Tacos are still a favorite in my house. I think you’d love them, too. 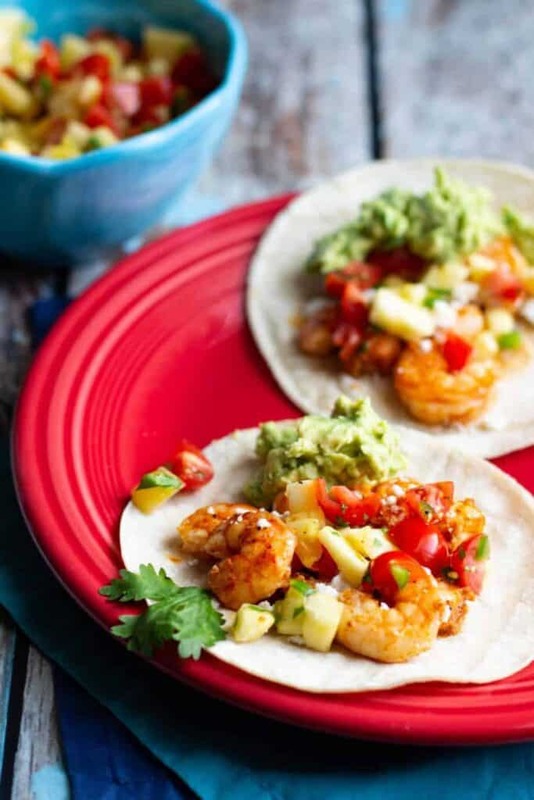 I think that seafood in tacos (except for maybe fried/grilled fish) can be a little unexpected. But in my opinion, this kind of unexpected can be a really good thing. 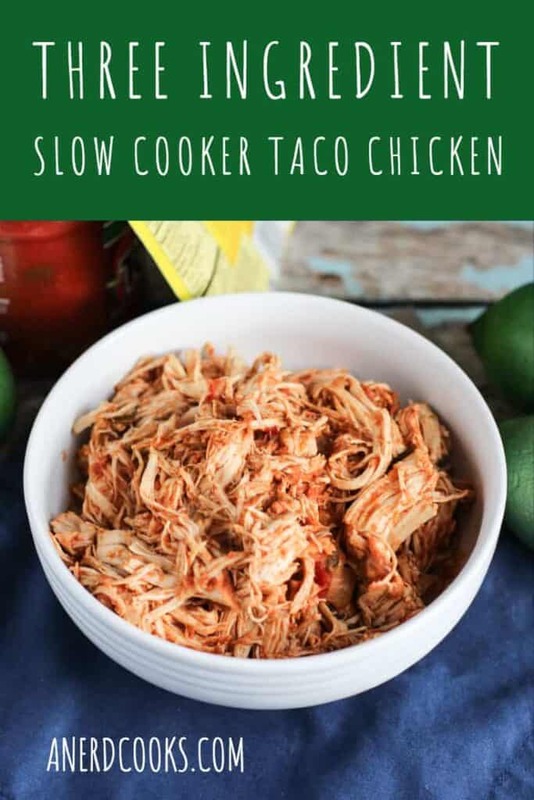 If you’re looking for a more traditional taco filling, check out my Three Ingredient Slow Cooker Taco Chicken and Pressure Cooker Carnitas! 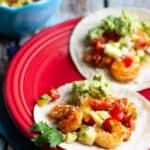 The combination of savory taco seasoning on sweet shrimp and sweet/tangy/spicy salsa is pretty perfectly complementary. I’m was getting ready to say that it’s a great meal for summertime, but really, it’s a great meal for any season. 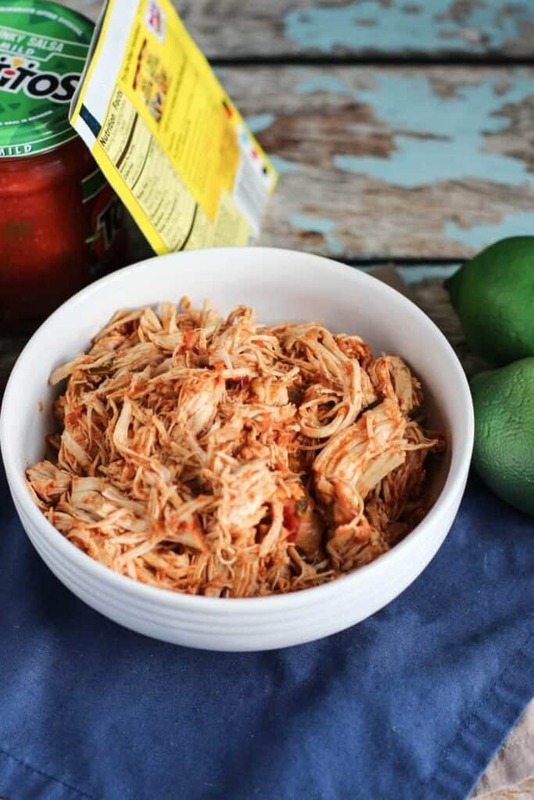 Combine all ingredients in a medium-sized bowl. Set aside. Preheat the oven to 400 degrees F. Line a baking sheet with foil and set aside. 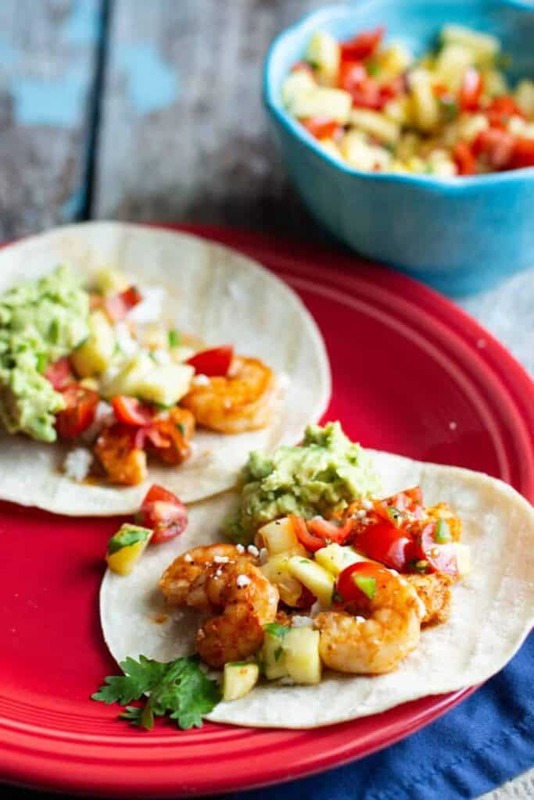 Place the shrimp, salt, pepper, taco seasoning, and lime juice in a large zip top bag. Close the bag and shake until all shrimp are covered in seasoning. Place the seasoned shrimp on the prepared baking sheet. Bake for 10 minutes, or until shrimp are just cooked through. One at a time, toast the corn tortillas in a dry skillet over medium heat until they just begin to crisp (~1-2 minutes per side). 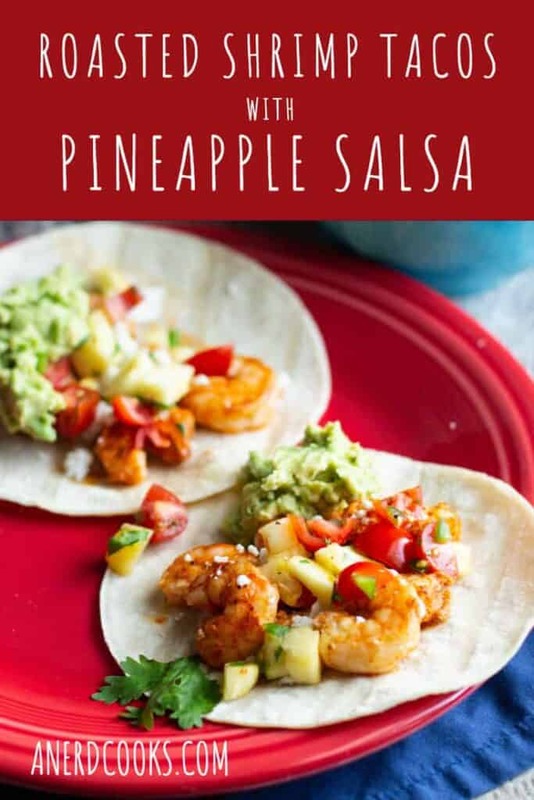 Fill the tortillas with shrimp and salsa, as well as whatever other toppings you'd like. 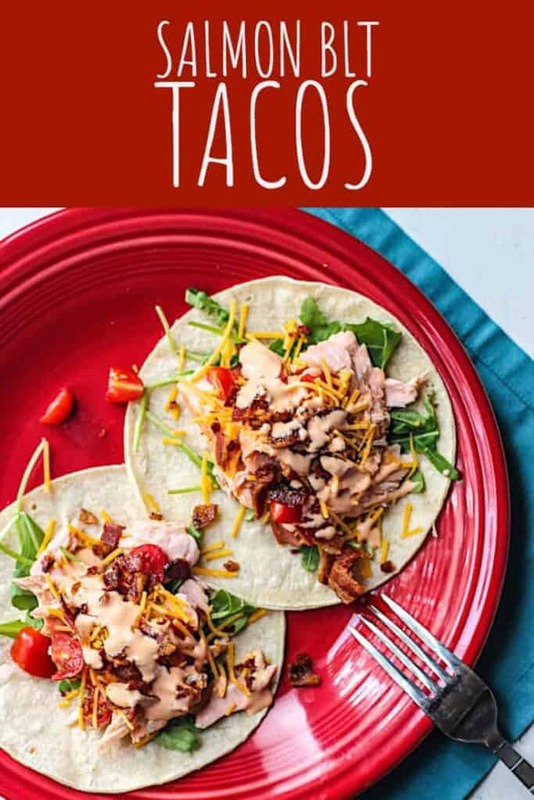 Need more taco action in your life? I got you! 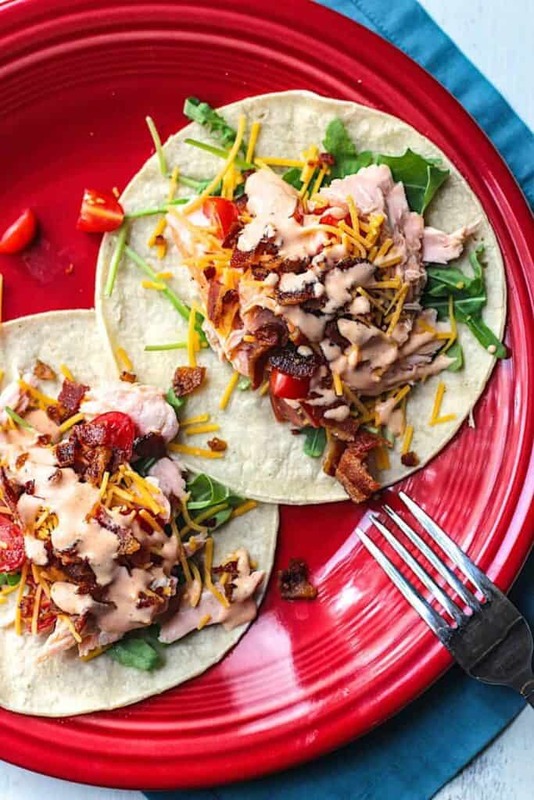 Salmon BLT Tacos are unexpected and delicious. 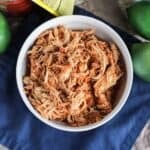 Three Ingredient Slow Cooker Taco Chicken and Pressure Cooker Carnitas are a little more traditional, but no less tasty. 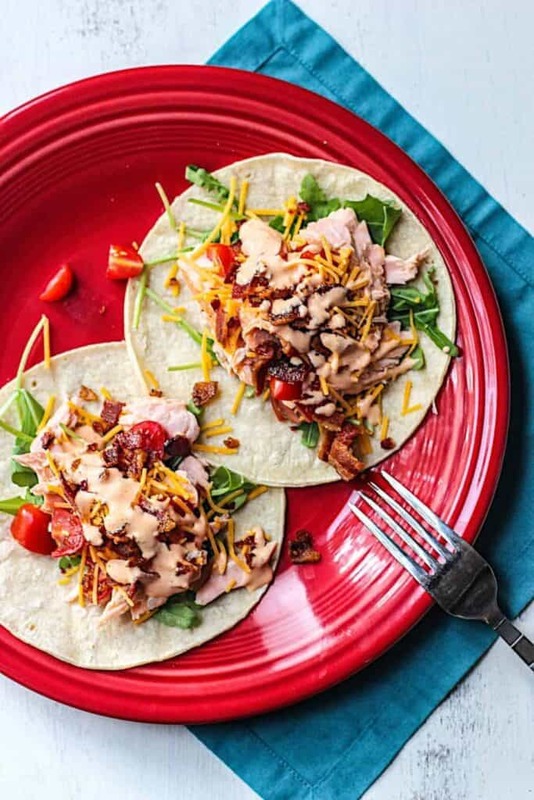 These salmon tacos take on all of the delicious flavors of a BLT. 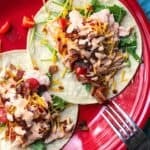 Salmon BLT Tacos. Need I say more? Didn’t think so. These tacos are the product of leftover ingredients from various dinners throughout the week + my foodbrain working overtime. Flake the cooked salmon with a fork. Set it aside for a moment. In a small bowl, combine the Ranch dressing and Sriracha. Set aside. 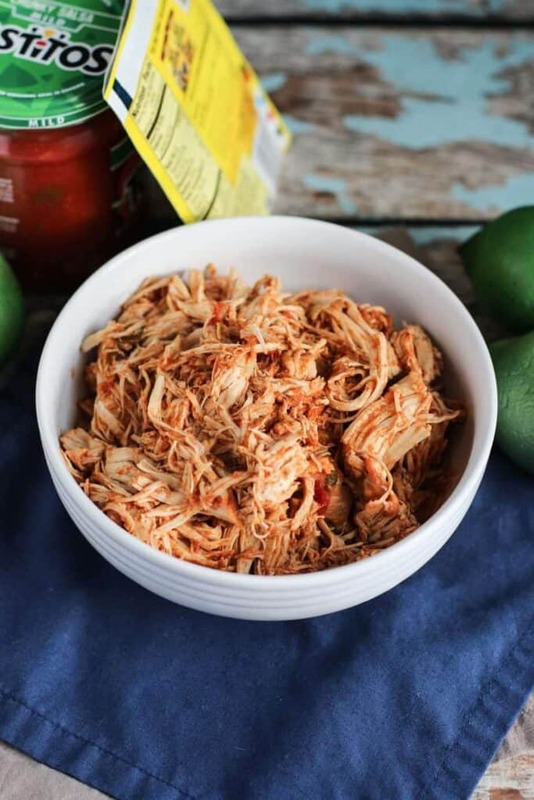 Heat the corn tortillas in the microwave (30 seconds, sandwiched between layers of damp paper towels) or on the stovetop in a dry skillet over medium heat. Start with a little bed of arugula, followed by the salmon. Top with some quartered cherry tomatoes, shredded cheddar, crumbled bacon, and a drizzle or two of the spicy sauce. Notes: The recipe for roasting the salmon can be found here. Need more tacos? Yes. Yes, you do. 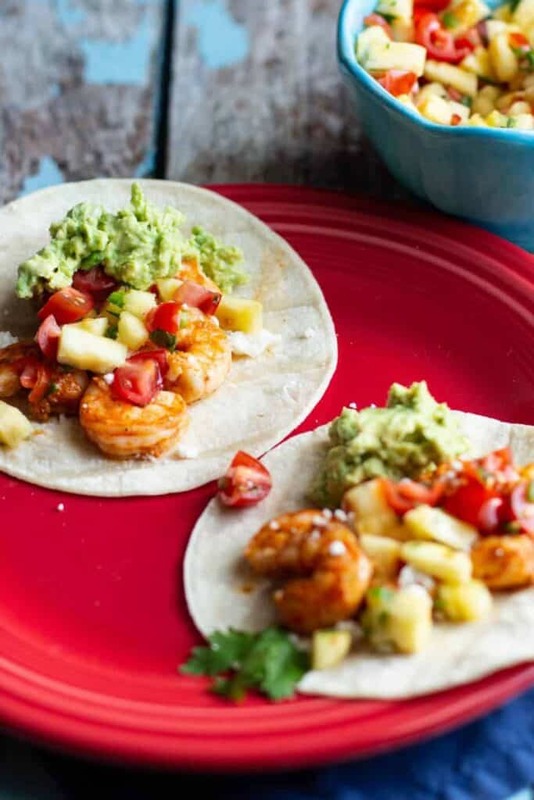 How about these Roasted Shrimp Tacos with Pineapple Salsa? 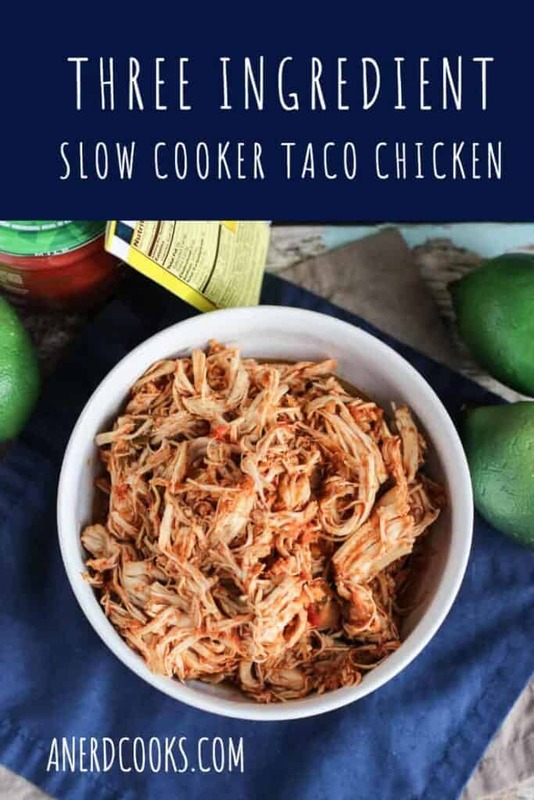 Or Three Ingredient Taco Chicken? These Turkey Taco Wonton Cups are also great.